In 1995 the Internet was the first Time in India knocked on August 15. 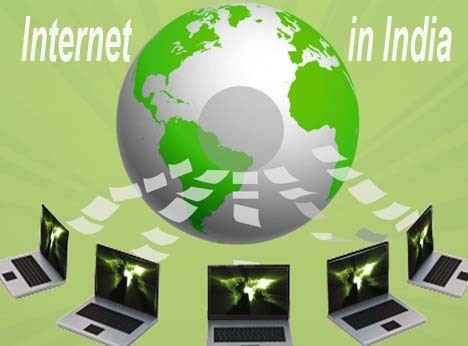 The Internet Provider of over 300 companies are in India Now. August 15th, The Independence Day of India. However, do you know that the day India became familiar with the Miraculous Service, which gave freedom from many U.S. Troubles.Yes, the internet 17 years before the Internet was knocked on 15 August in the 1,995th India. Young people an Idea of the Age of the Internet will NOT Friend Connect to the Internet in the Early experience was so interesting. Modems and dial slowly plied via broadband connections no peep into the World of the Internet. Videsh Sanchar Nigam Limited had no other Internet Service Provider. Knocked internet in India at the time, nearly half of the world at that time. Till July thirty million people connected to the Internet.However, in the 17 years of the Internet in India, the world was young.Talking about the Internet is the figure of 12 million. According to Internet World Stats, December 2011 in India, 12.1 million people were using the Internet. Not only Internet service provider in the country has more than 300 companies. Its metropolitan population comfortable life without the Internet today can not even imagine.Because the utility individually for all dimensions. Internet and World Wide Web is the difference technically. But the common people are the same for the WWW and Internet. And restrictions on the freedom philosophy WWW chariot reached the people. So just imagine what you would do if the Internet is still the same problems you are surrounded by, because that deliverance is getting your precious time and money Savings. Internet e-mail service to send mail to the tradition of the nearly finished. Now pinch letter here and there. Not losing, not afraid of getting wet and not any other. There was a time when long queues to book train and forced to look at both. However, in 2003 the railway reservation facility via the Internet so people started showing enthusiasm amazing. Internet came to India on August 15 to 17 years will be Fulfilled. Over the years the Internet has not only our professional life, but also changed our daily life. This is not just limited to the scope of the Internet. In today's date many of the institution and colleges course are too be conducted through the Internet, many are beginning to conduct online examinations. Speaking of shopping or any kind of people to make friends, have packed in their Internet life. Internet changed our daily life style. User scope revolution in the Arab world made ​​carrier. However, its advantages as well - with many challenges remain. During 17 years the benefits of Internet use, and focuses on the challenges of the knowledge today days have give many opportunity.